The new 1 real standard stamp and the Joint Issue with Užupis. May 13, 2014 Lostisland Post, the national postal operator of the Federal Republic of Lostisland, announced the issuance of 2014 series of postage stamps, which are expected to replace the Series 2013. 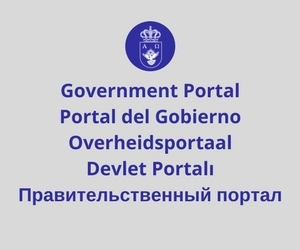 The new standart stamp, nominated in 1 real, depicts the Triskelion — a motif consisting of three interlocked spirals thought to first appear in Malta and Ireland around 3200 BC but mostly known as a Celtic symbol meaning deals with competition and man’s progress, pictured in the President Yaroslav Mar’s Coat of Arms as the Baron of Flandrensis. 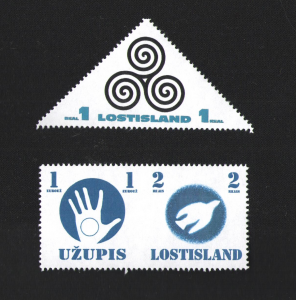 The stamp, triangle itself, is the first of such shape issued by Lostisland Post. Aside from the standart stamp, a Joint Issue has been presented with the Vilnius-based micronation of Užupis, with which the Treaty of Mutual Recognition was signed on April 13, 2014 by President of Lostisland Yaroslav Mar and Minister of Foreign Affairs of Užupis Thomas Chepaitis during their meeting in Moscow. 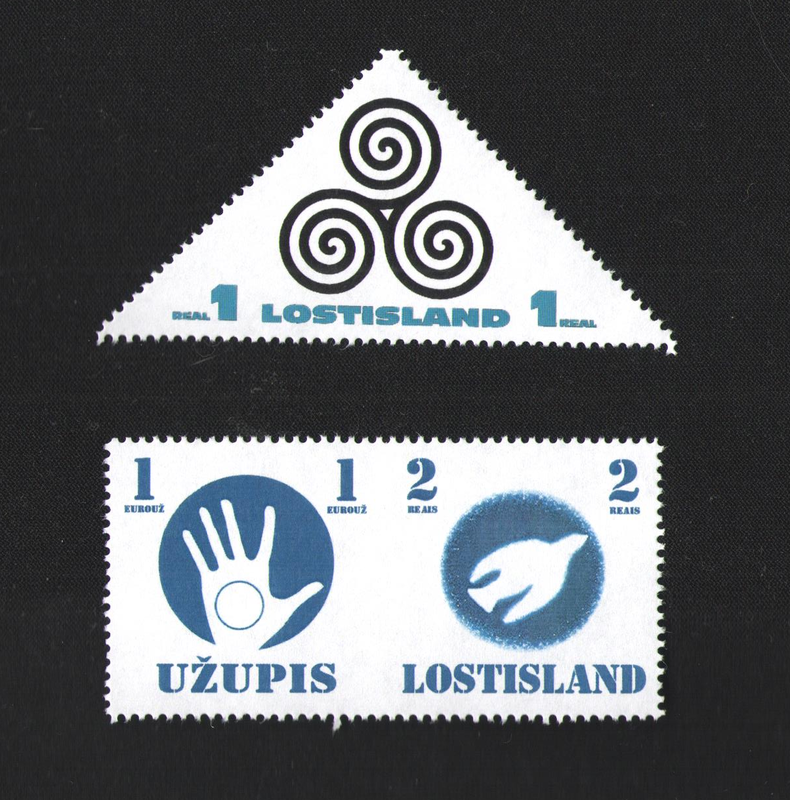 The stamp, dedicated to commemorate the 17th Anniversary of Užupis celebrated on April 1, and the 1st Anniversary of Lostisland’s transition to a Federal Republic celebrated on April 4, are nominated in 2 reais and 1 eurouž (Užupis’s currency). 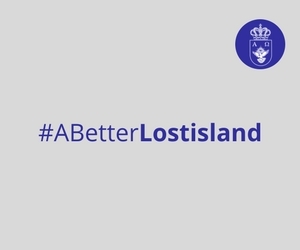 The new postage stamps will be put on sale and available for purchase from the Lostislandic Online Shop soon.